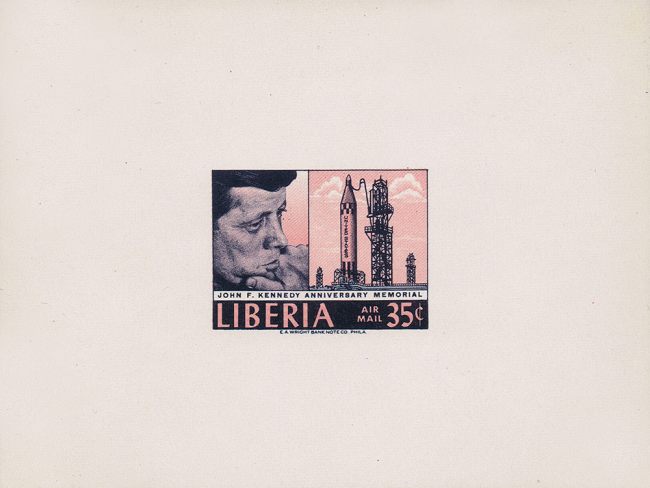 Help with identification a set of Liberia Souvenir Sheet JF Kennedy? I cannot find this in Sheet in Scott. but this 35c is not mention, is this a test print or something like that? The sheet it self is with gum. Looks like a proof to me. If it's on thick paper or a higher quality cardstock, then it is a proof. The paper looks and feels to me like normal for a stamp. Not thick nor a cardstock. Michael G. is , I believe, correct. A deluxe proof. One of a set of four issued in 1969.